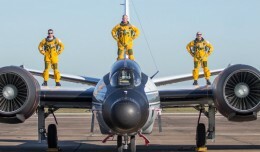 The following is a special submission to NYCAviation from Space Columnist Suresh Atapattu of Florida Skies. One early morning next month, a Boeing 747 Shuttle Carrier Aircraft (SCA) will fire up her engines, run through an extensive preflight checklist and, if everything is “green”, taxi to the threshold of NASA’s 15,000-foot-long Shuttle Landing Facility (SLF) at the NASA-Kennedy Space Center (KSC), Merritt Island, Florida. At this time in the morning, the environs will be filled with the usual abundance of wildlife engaged in their normal rituals of survival. However, on this day, they will be competing for space with a large gathering of somber onlookers watching the impending departure of the 747 and her cargo. A lone KSC vehicle will make the run down the runway to make sure there are no alligators sleeping in the SCA’s path prior to the departure clearance from the tower. If everything goes according to plan, the morning wind will be slight or nonexistent and the sky still clear of the threatening rain clouds that seem to usually pop up with clockwork punctuality as the temperature rises in the Florida. 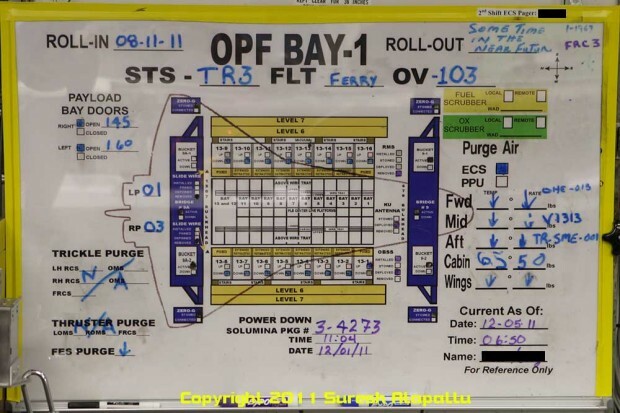 The pilots (as many as six pilots and four flight engineers will be on a flight) will run the four Pratt and Whitney JT9D-7J engines up and release the brakes for the takeoff roll. Lift off of the SCA should take place at about midpoint of the SLF. 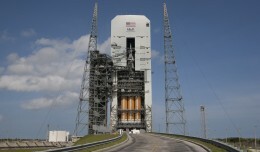 This event will signal the closing of a chapter of the US manned space program. 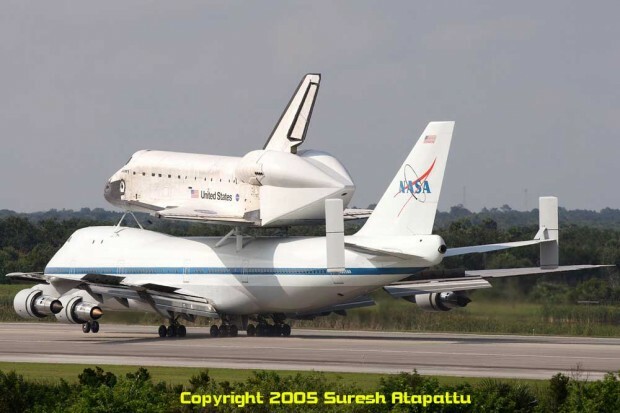 Departing as the cargo on her final journey, will be the oldest (first flight August 30, 1984) and most-flown orbiter (39 missions, 149 million miles, and 365 days in Space) of the US manned space flight program — Space Shuttle orbital vehicle 103, best known as Discovery. Discovery’s destination is the Smithsonian Air and Space Museum’s Steven F. Udvar-Hazy Center at Washington-Dulles Airport. She will be received into the collection with much fanfare and ceremony. One slight flight plan deviation will be that “NASA 905” (the call sign of the SCA) will have the singular honor of flying over the National Mall in Washington D.C as a final salute to the Space Transport System (more commonly referred to as the Space Shuttle Program) and the significance of its achievements to America’s history. In her retirement, Discovery is classified as the “orbiter of record” and will be the closest of the three orbiters (compared to Atlantis and Endeavour) to the space flight configuration. Its middeck has the gunmetal colored crew bunks in place along with a set of lockers. The astronauts’ restroom is installed adjacent to the port side entrance door, just like it would look like during an operational mission. This is unlike the other display orbiters. However, fans of the shuttle program are usually surprised and distressed when they learn of the true extent of the “mummification” of ‘Discovery” and her sister ships. There is much more actions performed on the orbiters than the standard preservation efforts that occur on aircraft entering museums. 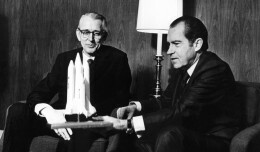 From the very beginning it was understood by all parties involved — including the orbiter recipients — that the orbiters will be made safe and inert prior to display, as was made clearly evident in NASA’s request for proposals to house the orbiters. Discovery’s preparation for display took a year and cost approximately $28 million. Since the Smithsonian is a federally owned institution, this cost was borne by the US government, unlike the other institutions that have to foot the bill for the preparation and delivery of the orbiters. The price tag did not stop the frantic push to get one by an eager group of contenders. At stake was not only a piece of American history and the prestige of housing an orbiter but the potential draw for millions of new paying visitors to the recipient museums. The battle to snag and orbiter turned into an ugly regional media and political battle. The last three launches of the shuttle era, STS-133, STS-134 and STS-135 had been huge spectator magnets. Hundreds of thousands of people, from all over the world, crowded every possible vantage point for miles around KSC. Each spectator strained to catch a glimpse of the shuttle launch. The recipient museums hoped to tap into the renewed public attention and adoration of the shuttles to further enhance their coffers. By all available metrics, it appears the return on investment of $28 million dollars to acquire a space shuttle orbiter is a good bet. On March 8, 2012, Discovery was towed out of the Orbital Processing Facility (OPF) #01, which marked the end of her mummification, just one day short of the one year anniversary of her last landing. She went into the OPF about six hours after completing mission STS-133 on March 9, 2011, as a fully functional spacecraft capable of a return to flight. If the space shuttle program continued, she would have had a “down processing” from STS-133 followed by an “up processing” for her next flight. It usually was a 2-3 month turnaround. Since the orbiters were designed with a 100 mission life and Discovery only had 39 at that point, she theoretically had the capability of 61 more space flights. 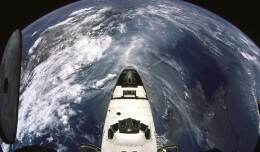 Since the arrival at the OPF, the spacecraft was down processed from the STS-133. However, unlike the 38 times before, the process was taken beyond the “point of no return”. The “point of no return” on orbiter processing was a topic of internal discussion among the spacecraft technicians and managers during the final months of the STS program. This was the point beyond which any actions performed by the spacecraft technicians would prevent the ability for the orbiters to fly again. 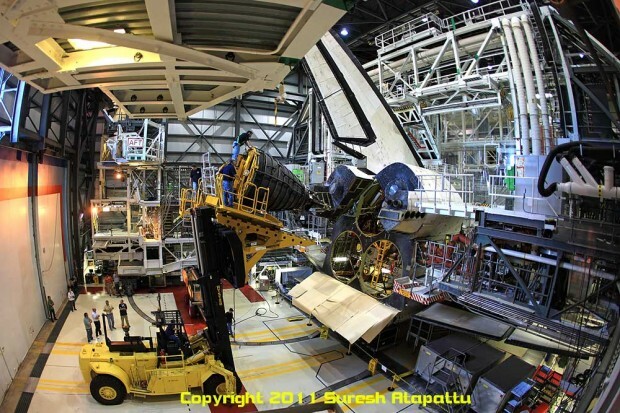 The management issued a “do no harm” order during the down processing of Endeavour and Atlantis after they returned from their respective final missions in 2011 to prevent such a possibility. There was no such order for Discovery as she flew the first of the last missions and was considered the prime candidate to be retired first. This meant the other two spacecraft would be down processed post-flight according to standard procedures thus allowing their return to flight at a future date yet to be determined. A slight glimmer of hope that a miracle would enable two or more orbiters to fly for a few more years, as a stop gap measure, was present for a brief time. This would have maintained a manned US space program flying Americans to work in space on American metal. However, that glimmer of hope was quickly extinguished and the “do no harm” order was vacated. 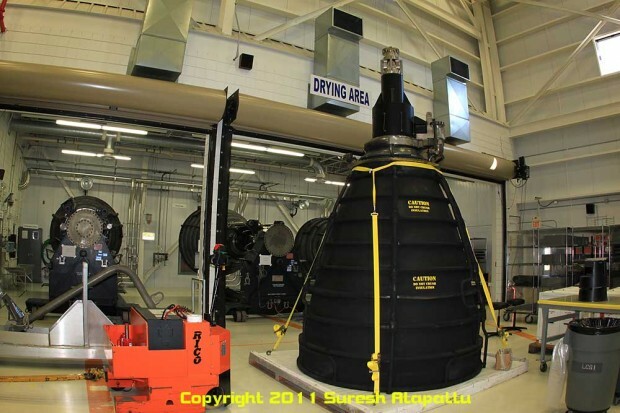 The three orbiters may be going to museums but they will not have their space shuttle main engine (SSMEs) with them. The RS-25 SSME, made by Pratt & Whitney Rocketdyne is a reusable, staged combination cycle engine that burns cryogenic liquid hydrogen & liquid oxygen propellants. During a launch, the energy released by the three SSMEs is equivalent to the output of 13 Hoover Dams. The cluster of three SSMEs at the back of each orbiter produces about 29% of the total liftoff thrust and accelerates the orbiter from about 3000mph to 17000mph in the 6 minutes after the solid rocket boosters are jettisoned at 2 minutes 15 seconds into the flight. 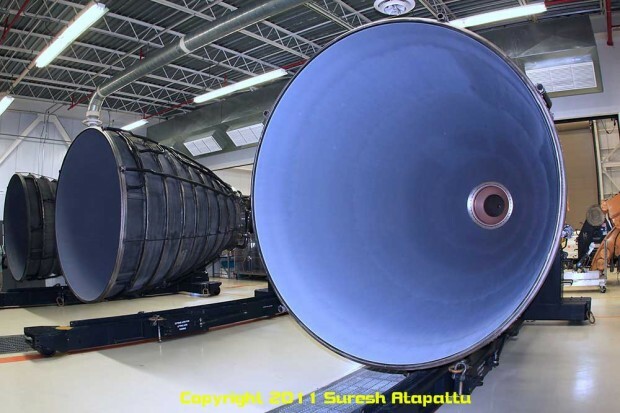 The RS-25 is currently the only operational, reusable liquid based rocket engine designed for human spaceflight but the visitors to see the orbiters will not be actually seeing any of them. 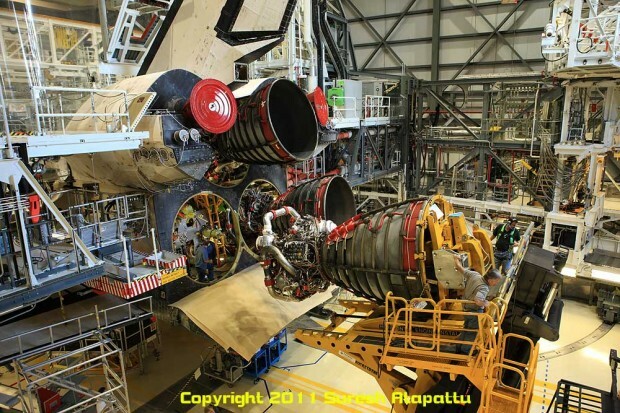 Instead, the shuttles will have mock-up or replica engine nozzles that will look like the real thing – from the outside. 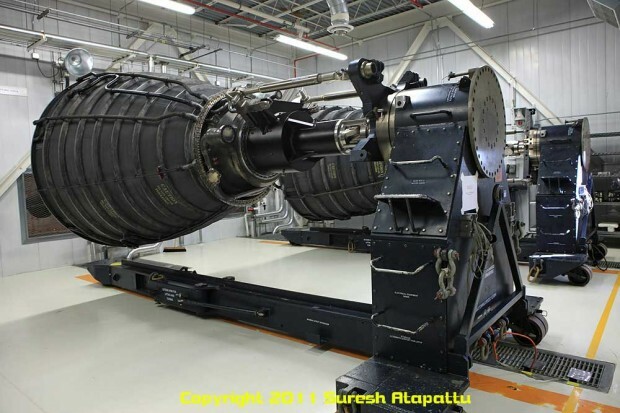 The SSME shop at KSC was able to scrounge in their junkyard for the discarded parts to make up the nine replica exhaust nozzles needed (three per orbiter). Once patched up, cleaned and painted, they appeared to be quite passable as flight ready hardware. However, the Smithsonian decided the items looked too good and hired an outside contractor to come paint in the effects of spaceflight thus giving a more worn and weathered appearance to the nozzles. 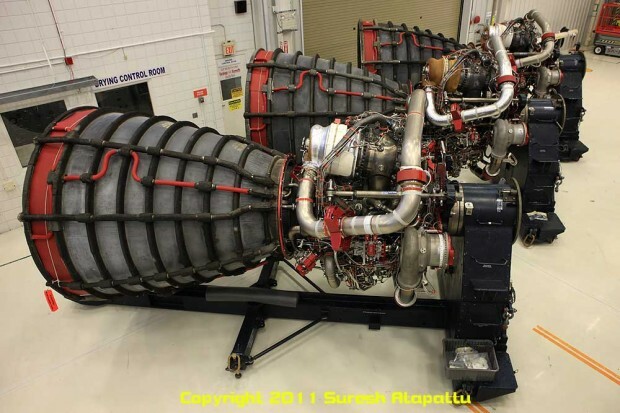 NASA is going to keep the real engines for use with the new Space Launch System heavy-lift rocket. 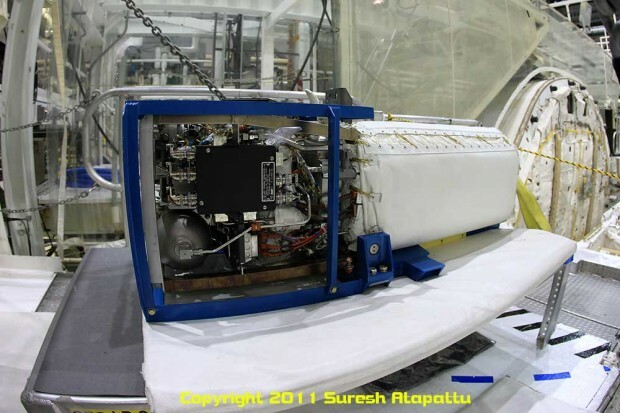 Along with the SSMEs, NASA decided that the plumbing that feeds the gallons of super cooled liquid oxygen and the liquid hydrogen would be also reusable in the next generation spacecraft. 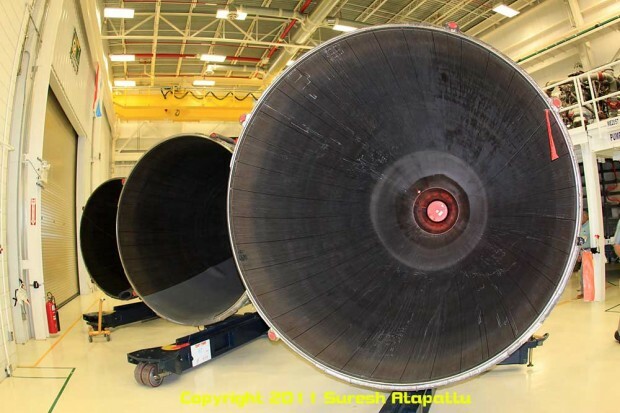 So the workers at KSC stripped away at the engine plumbing in the aft compartments of the three orbiters as well. With the heat shield in place and the replica engine nozzles installed, the general public cannot discern from a simple external visual scan that the engines and major components of their plumbing in the aft compartment are missing. The Forward Reaction Control System (FRCS) and the rear Orbital Maneuvering System (OMS) Pods are critical component of the orbiter and allow the obiter the ability to maneuver in space. These systems relies on mixing two highly toxic chemicals together in the vacuum of space that results in a strong exothermic reaction leading to the propulsion of the spacecraft, in accordance with Newton’s Third Law of Motion. The fuel is monomethyl hydrazine and the oxidizer is nitrogen tetroxide. The oxidizer goes directly to the engine injector. The propellants are sprayed into the combustion chamber, where they atomize and ignite upon contact with each other (hypergolic reaction), producing a hot gas and, consequently, thrust. Hypergolic engines do not need an ignition system, so they tend to be inherently simple and reliable, but highly toxic and corrosive. The main engines are shut down (for the duration of the mission) about 8 1/2 minutes after launch and the OMS becomes critical for the orbiter’s maneuvering from then on. The OMS provides the thrust for orbit insertion, orbit circularization, orbit change, rendezvous with the International Space Station or satellites, deorbit, abort to orbit (i.e. not enough speed to get into the desired orbit but a lower orbit, this has happened at least once) and abort once around (i.e. a launch failure which lets the shuttle orbiter make one revolution before coming back to Earth, this scenario has never happened even though the astronauts constantly trained for it). The forward and aft RCS units provide the thrust for attitude (rotational), maneuvers (pitch, yaw and roll) and for small velocity changes along the orbiter axis (translation maneuvers). It also uses Nitrogen tetroxide as the oxidizer, and monomethyl hydrazine as the fuel. The FRCS and OMS pods were extracted from the spacecraft and sent to the NASA White Sands Test Facility in Las Cruces, N.M., for cleaning and de-servicing. At this location, the retired former Shuttle Program manager Wayne Hale encountered the extracted tanks that made up the innards of the systems, cut up and lying in the dirt. He could not help but ruefully mentioning this fact on his blog. 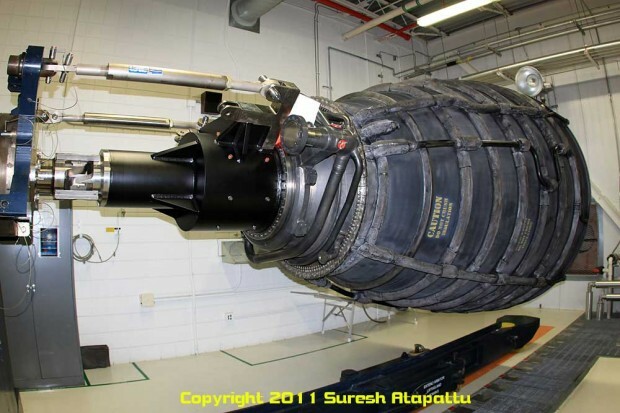 Also, the 6,000-pound thrust engines in the OMS pods was removed from the pods and replaced with replicas. With the innards taken out, the exterior portions were returned to KSC for mounting back on Discovery. This returned her appearance back to normal-in the eyes of the general public. The gaping hole on the nose and the missing equipment on the two sides of the vertical stabilizer were thus covered up. The general public would be hard-pressed to see the difference from outside. 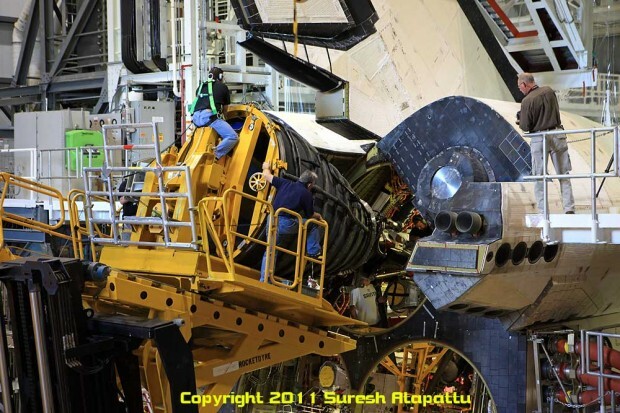 There are three fuel cells located beneath the floor of the payload bay that make up the generating system that provides electrical power to the space shuttle orbiter. The fuel cell power plants, through a chemical reaction, generate all of the electrical power for the vehicle from launch through landing rollout. It generates water and heat energy as by-products of electrical power generation. The excess heat is directed to fuel cell heat exchangers, where the excess heat is sent to freon coolant loops. The water is directed to the potable water storage subsystem. The unit is a little more than a foot high, 3 feet long and weighs approximately 200 pounds. As part of the transitions and retirement, these units were extracted and drained of their vital liquids. In the case of Discovery, they were put back in place in the inert form. 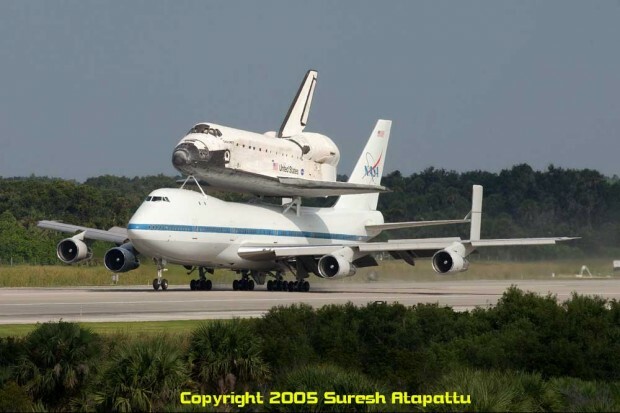 Atlantis and Endeavour will not have them onboard. 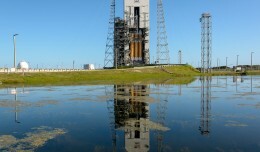 Orion, NASA’s newest spacecraft, is set to launch atop a Delta IV Heavy rocket from Cape Canaveral Air Force Station at 7:05 a.m. Watch it live! I guess I missed the point of all this work, why can’t it be displayed as-is? Will the original parts rust or something? What value are they? Secret Spy tech? It’s obsolete though. It’s easier to study, and reverse-engineer hardware once it’s been removed from the shuttle, which is of great value to future spacecraft. Some hardware may even be reused on future spacecraft. Also, the toxic chemicals used in the different systems would corrode the parts in time causing leaks. Not good to have a toxic chemical leak in a museum. Different parts were removed for different reasons, Weight, safety, reuse of some high cost parts, comsec, research, and probably another dozen reasons. The horrendous chemicals used in space flight would presumably make the orbiter a health risk as time goes by. It does seem like an amazing amount of effort to go to though. With all the effort they don’t even bother to match the paint colour on the engine nozzles? I guess black was best to hide all the welding they had to do on the nozzles to get them into display shape. Lobotomized, eviscerated, drained of life and preserved. Nothing but bones and skin. They’re not really fake nozzles. They’re actual used flight nozzles that were no longer flight worthy. Great article, sad but great. Never got to see a launch up close but with good weather and clear skys I saw many from down here in Ft Lauderdale. On one night launch was able to track her with binoculars all the way till MECO.